Okay the other day I told you about my wife’s flip project. I’ve also told you about my small bit roles. 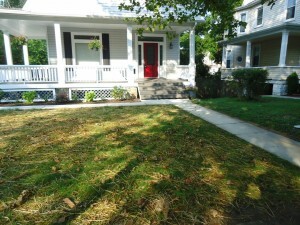 I had mentioned the small (30 x 22), front yard of the home that is now on the market. It would be my “pet project” as part of the Pennington Seed #Seed4Yourself program. If you remember, I had to opportunity to visit the folks from Pennington. There I learned all about grass seed. Why Was I Seeding This Lawn, Now? 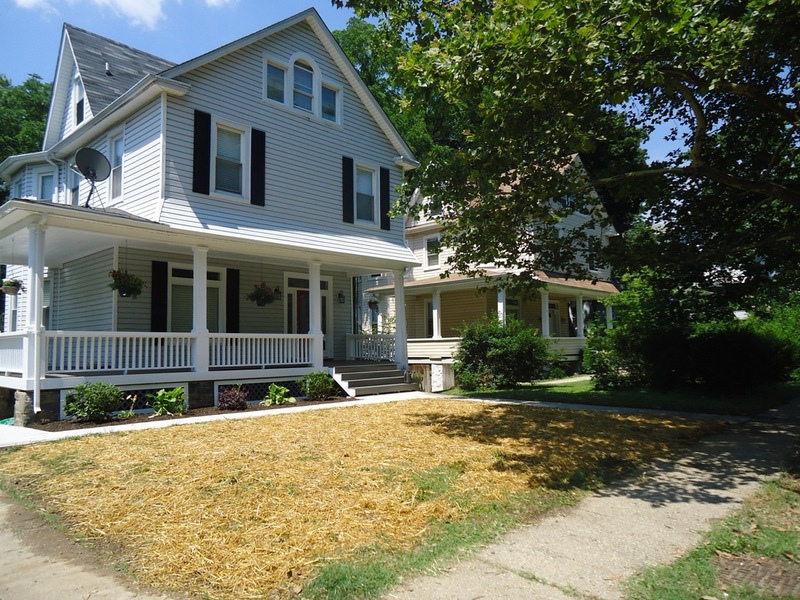 This front yard, when the home was purchased, had a medium-sized and unruly tree smack dab in the middle of it. In an effort to make the home more curb-appealing, Mrs. Moxie and the Other Man, Mr. Paul had it removed. As the trunk was ground down, it left a rather large “hole” in approximately 30% of the plot. 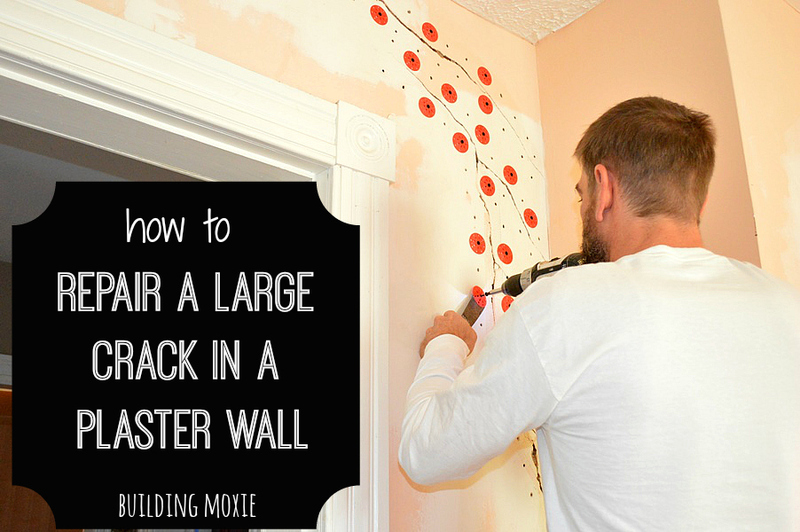 Add to that the regular abuse you can expect with large scale renovation work. 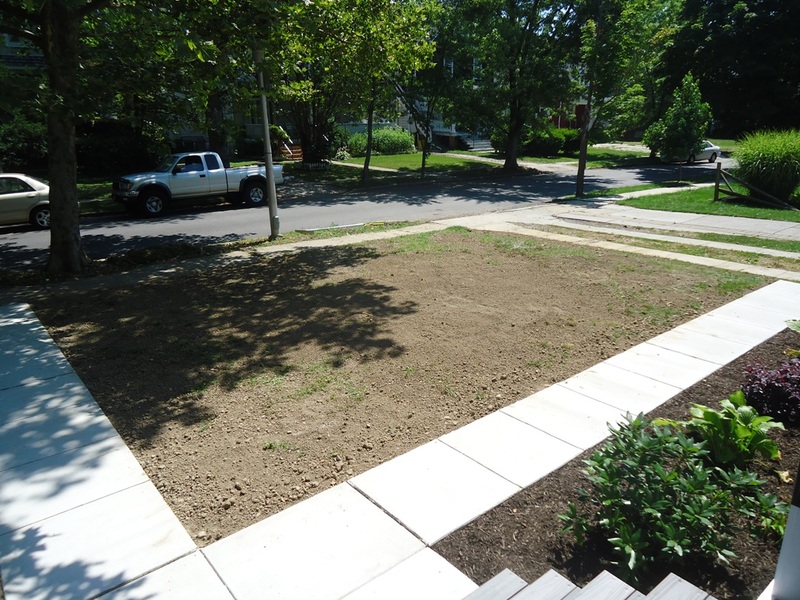 I mean – this front yard was in need of, well, a good seeding. That was decided early on. Mr. Paul dropped a small load of very finely *un-*filtered top (not) soil. I’d like to tell you that I tilled to the recommended 4-6 inch depth. Didn’t. Using a cultivator, I worked up to integrate the new soil. On a small section of the plot, I used a transfer shovel to remove a patch of clover. While a four to six inch till depth is recommended… my quick and fast got me to about 3 inches. I then worked to clean up the soil a bit, taking about a half an hour to remove stone. I then raked everything out (incorporating about 50 lbs of soil conditioner that I had left over from the work in my own yard) for a slight semblance of finish grade. 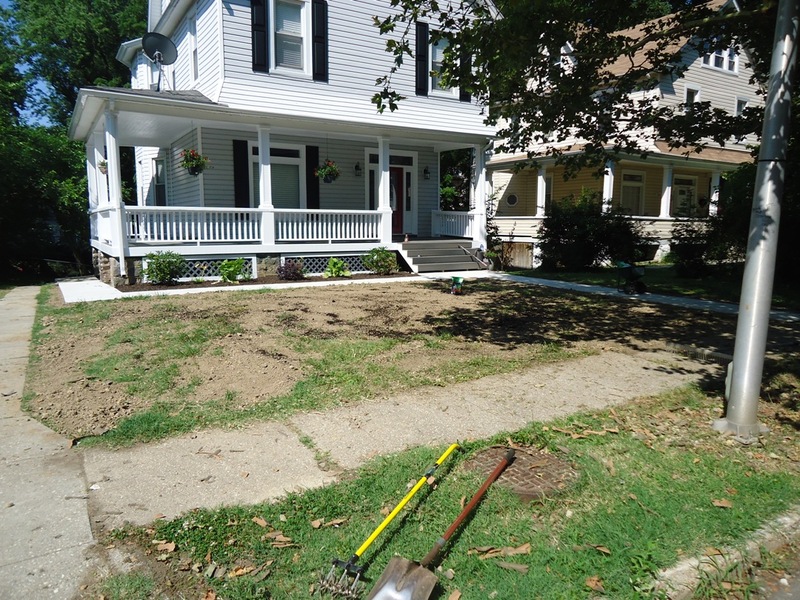 To do this, I drug a large landscape rake over everything working from the center outward. Next I fertilized, but truth – I worry that I actually might have overfertlized (which I know can be evil). It wasn’t that I misread instructions, but the starter fertilizer I had on hand had been around for awhile and something in my brain suggested that its effectiveness might have diminished. Whether or not that is true I am not sure. I feel now, after the fact, it is probably better to under fertilize than over fertilize.
. . . But moving on. Despite the fact that an elm (I think) drops shade over about half of this space, I selected a 3lb bag Pennington’s Smart SeedTM – Sun and Shade Mix. It was purchased @ The Home Depot. (The mixes compositions seemed slightly different in different stores.) If you are following, I originally underestimated on the size of the lawn and actually had to dip into a different bag the next day. 3lbs for 500 sf for seeding a new lawn . . . which I essentially was laying. Once spread (using a broadcast spreader), I integrated the seed into the soil. And I covered the whole area with one bail of straw (more for promoting water retention). And we (including me) began watering, in the morning and in the evening. The goal here was to simply keep the ground moist. Here we are at about Day 17 (below) and we are asprouting. I mean – I have babies, tiny little green little bubbies. (And pretty close to, maybe even a little ahead of, the results we saw in our very controlled growing experiment.) Notice how much better things are growing in the more shaded portion of the yard. Kinda surprising. But things are going in the sunny area (also where that tree once sat); it is about 3 to 5 days behind. Looking back I might have taken a ½ half hour to dig out the bit of wide blade (likely rye) grass that existed, or maybe even tried to match it a little more closely. Consistent, however, with what I think the project manager would request, I left what was already there. Thankfully (for the grass but not necessarily for the selling of the house) the few thunderstorms we have had . . . surely helped. We continue to water (though a little less now). I am happy enough where I am at right now, but I did take the time to ask Pennington for some Summer Seeding Tips. 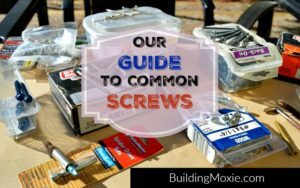 While these may also apply to individuals living through dry seasons and in drought-prone regions, these two tips caught my eye and will hopefully help aid me along. Water in the Morning: You should water lawns during the early morning and avoid afternoon and evening watering. During early morning pre-dawn hours, the day is not at its hottest point. 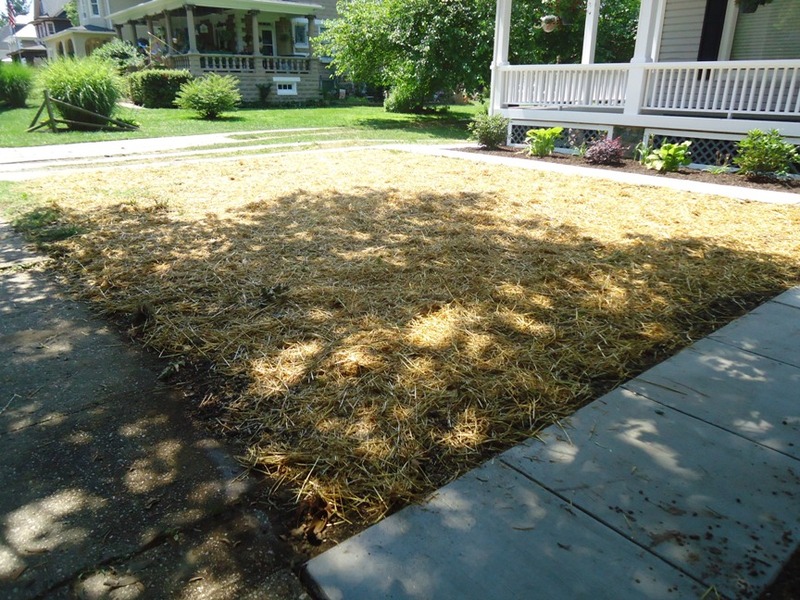 This allows grass to retain moisture, while still drying in a safe amount of time. To maintain plant health, you should monitor for color changes. A lawn does not need water until the color falls by 50 percent, at which time one inch of water should be added. Add to this, watering requirements can vary dramatically between germination, establishment and ongoing maintenance. 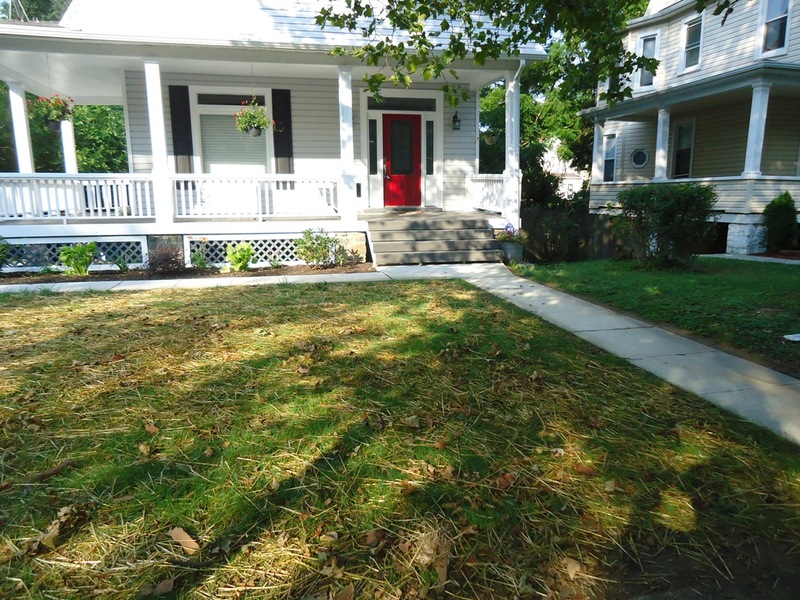 Mow Based on Grass Length: The general schedule for mowing a lawn revolves around the length of the grass more than the timing between mowing. During the first mowing session—just right after you seed—wait until the grass is 1/3 taller than the desired height. After that point, the rule of thumb is to remove no more than 1/3 per mowing session to avoid putting any undue stress on the grass. A mulching mower is also recommended. 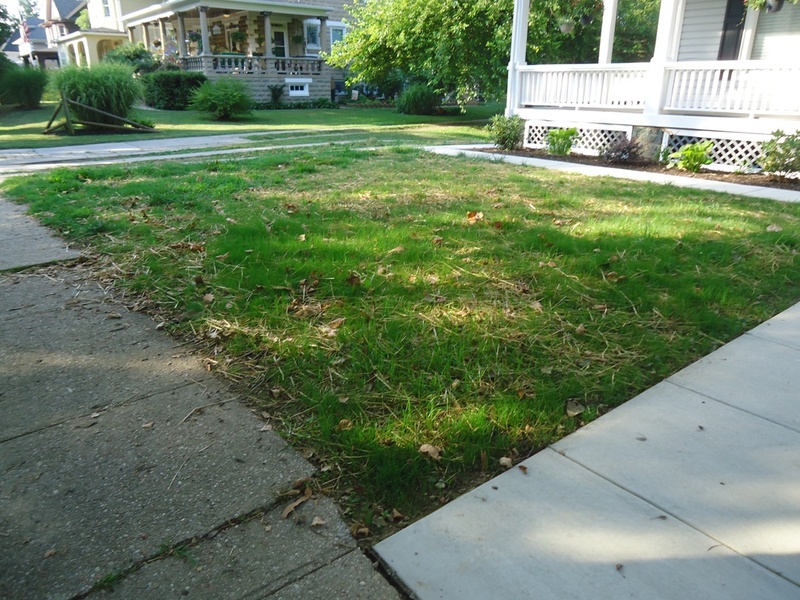 The clippings left over serve the same purpose as mulch—preserving moisture and nutrients for the growing grass. Thanks for reading and wish me luck. For more helpful advice, including recommendation on soil tests and on choosing the right seed visit www.penningtonseed.com. You may also find Pennington on Facebook. 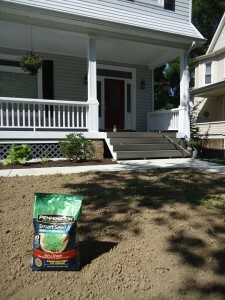 Disclosure: Pennington Seed, Inc. and their parent company Central Garden & Pet partnered with bloggers such as me to help educate us all about grass seed. As part of this program, I received compensation and was hosted by the company for a kickoff event. They did not tell me what to purchase or what to say about the use of the products. Central Garden & Pet believes that consumers and bloggers are free to form their own opinions and share them in their own words. Central Garden & Pet’s policies align with WOMMA Ethics Code, FTC guidelines and social media engagement recommendations. Thanks for this how-to account of re-seeding. And congratulations on your success with it. The fact that you got great results under adverse conditions is a testament to your own skill and perseverance, and the resilience of Pennington’s seed. 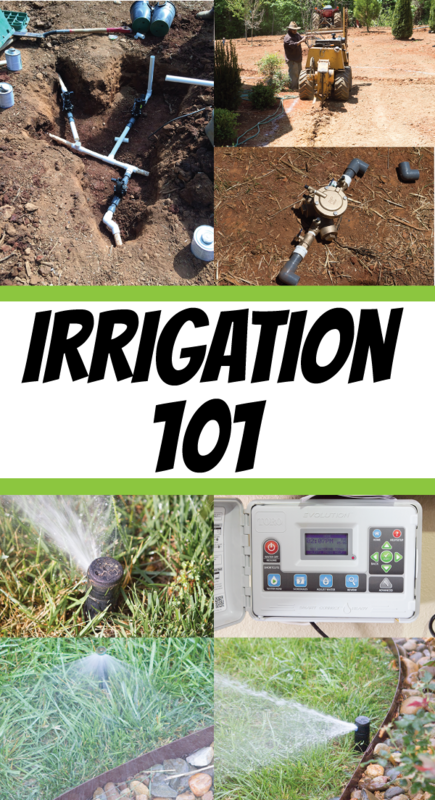 Believe me, I’m no stranger to time drains, schedule slips, doing things well outside of manufacturer recommended temperature/humidity ranges, and using date supplies (like your fertilizer). It can be very frustrating, and often causes me to ask “Why am I doing this NOW?” You must’ve been asking yourself the same thing. But you kept on it, and made what seemed like the most sensible adjustments on your part, and it all paid off. So congrats, my friend, on the good results. 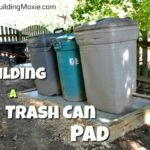 One things I was curious about: What did you end up doing with the lead pavers? Thanks! And have a great rest of the weekend.